It's a beautiful day. Inspirational quote for morning. 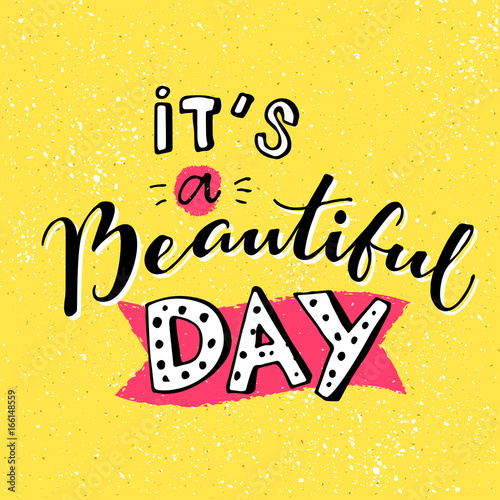 Handmade lettering on yellow background in cartoon style.